Dentures should not be painful or cause you embarrassment or frustration. They should look natural and not compromise your oral health or interfere with how you eat or speak. At GP Dental Partners, correct measurements are taken to ensure superior fit and comfort. Careful consideration is taken when selecting the shape and colour of the teeth so they compliment your face shape and complexion. 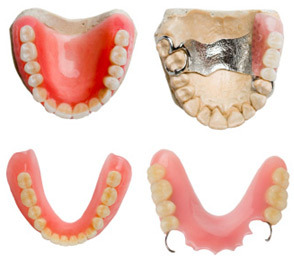 Complete or ‘full’ dentures are worn by patients who are missing all their teeth in either maxillary (upper) or mandibular (lower) arch. Acrylic partial dentures may be used as a transitional or temporary replacement of missing teeth, depending on your personal circumstances. Acrylic dentures are light weight and easier to repair or add teeth to, if it is likely that tooth loss will continue. A loose lower denture is a common complaint for complete upper and lower denture wearers. With dental implants, the lower denture is locked in place. Patients choosing this option report a greatly enhanced quality of life with increased comfort, confidence and eating ability. This is also an option for a full upper denture. Traditional full upper dentures must cover the whole upper palate in order to have proper fit, stability and ensure adequate retention. With an implant retained denture, the entire palate of the upper denture can be removed. This increases taste sensation, and for those that suffer a sensitive gag reflex, this entire area can be eliminated. Immediate dentures allow patients to avoid being without teeth when having several teeth extracted. This treatment involves having impressions taken of your mouth prior to having your teeth removed. When your natural teeth are extracted your immediate denture is placed immediately in your mouth. This acts as a bandage, prevents you from having to go without teeth and provides you with teeth to chew with during healing. The healing process takes approximately 3 months and during this time your tissues and bone change. You may require adjustments, temporary liners or tissue conditioners to maintain comfort and the best possible fit during this time. New base material is added to the inside of the denture to help maintain a proper fit. The reline consists of taking an impression inside your existing denture. A reline of your denture will only affect the fit and not the appearance. Relines are required when tissue changes have occurred due to resorption or shrinkage. This can be due to a loss of weight, loss of bone, loss of teeth, ageing, disease or illness. A reline will not correct any problems associated with worn down teeth or an incorrect bite. 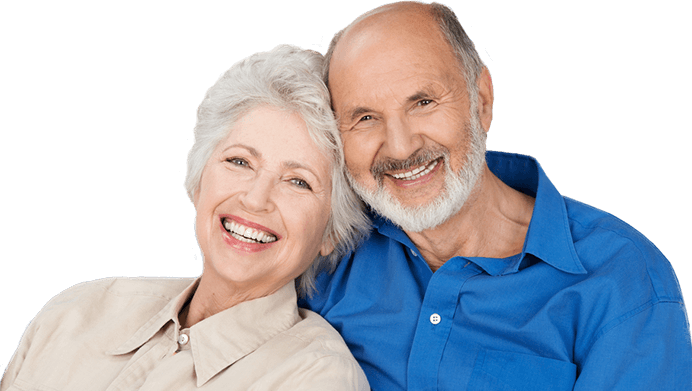 We can repair an existing broken or cracked denture or repair teeth that have broken off your existing denture. 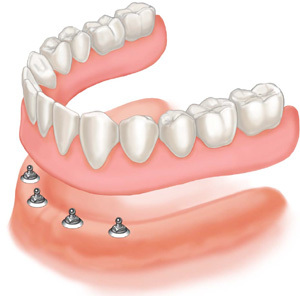 We can also add teeth or additional clasps to your existing denture if you are having teeth extracted. Many repairs are done on the same day. There are many reasons for denture breakage and can be due to underlying problems, including age, worn teeth, or poor fit. We will be more than happy to assess your denture when you bring it in to be repaired.